I have some great news. My second book comes out this April! It is called How to Get Unstuck: Breaking Free from Barriers to Your Productivity. 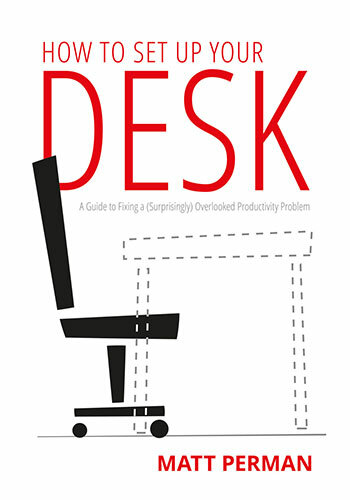 Whereas What’s Best Next seeks to give a comprehensive productivity approach, Unstuck focuses on overcoming obstacles — and what you need to do in order to prevent some obstacles from happening in the first place. In doing so, it brings in many principles I didn’t have room for in What’s Best Next (such as urgency and importance) and puts them into the overall framework of personal effectiveness. I will have much more to say about How to Get Unstuck in the coming weeks and months. In the meantime, you can already pre-order it. Pre-orders are now a big deal in helping Amazon and other booksellers anticipate demand, so pre-ordering would be a great way to help get the book off to a great launch! Who says art must include a canvas, sculpture, or musical instrument? Art is creativity, and is there a better example of a creative endeavor than the machinations of building a successful business? Indeed, business is art in its purest form! The painter and the musician shouldn’t scoff at the entrepreneur or corporate chief who must take hard, cold life – sights, sounds, events, things, people – and stir them into an efficient enough mixture to produce a successful business. Business is art. It’s a heroic undertaking, and with it lies two superb by-products: tangible value to others–employees and customers–and personal income for the creator. 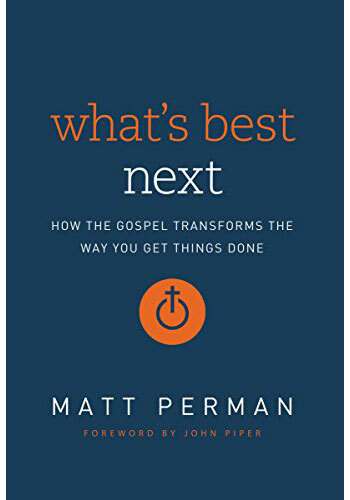 Thanks to the many of you who have been so encouraging as we announced the launch of What’s Best Next. You emails and shares have been meaningful. We hope you’ll stick around to benefit from the things we have planned, and to help us refine the resources and services. None of this makes sense if people like you aren’t inspired and helped. One of the things we’re looking to do, in addition to developing many free resources, is to publish, over time, focused books for helping Christians be more effective in their work. The one we started with, which seemed to make sense given what we were already working on, is a short digital book called Creating a Business Plan that Actually Works: Especially, But Not Only, for Faith-Based Organizations. With a title like that, and given that What’s Best Next is a mere three days old, I would expect at least a snicker or two! But here’s the deal: this e-book is not about guaranteeing a level of success, however you measure it. It’s about a process that does what it’s intended to do—a framework that can make a significant difference as you plan any kind of real-world endeavor. Whether you’re launching a new business, starting a ministry, planning an event, or managing a project of a certain size or scope, this short e-book can help guide you in thinking through your plans. Matt originally wrote this a few years ago and we’ve updated several sections in light of working through the vision for What’s Best Next. How Do You Think Biblically About Business Plans? This focused book is especially for those who are making plans from a Christian perspective—whether in churches, ministries, other non-profits, or anywhere else. While you don’t have to operate from a specifically Christian perspective to benefit, it will be especially helpful for those looking for a resource that makes the integration of faith and work explicit. Brad Lomenick’s latest book H3 Leadership: Be Humble. Stay Hungry. Always Hustle just released at the end of last month. I highly recommend anything Brad writes. His experience leading Catalyst and working with some of the greatest thought leaders of the day give him a unique angle and depth of insight. In this book Brad identifies what he describes as the 20 key habits that great leader shave in common, all built within the foundational elements of H3- Humble, Hungry, and Hustle. Here are a few Q&A’s on the book. Can you give us a quick overview of the book? How is this book different than your first book, The Catalyst Leader? My first book, The Catalyst Leader, was a big picture, destination book providing essentials for leadership for the next 30 years. A foundation book you might say. If you think of it in terms of an organization, The Catalyst Leader was the corporate and staff handbook. H3 Leadership is more of a playbook of discipline that will help get you to the finish line. A practical application, daily practice, process, routine and “on the journey” book that can and should immediately transform the way you lead. What leadership looks like on a day-to-day basis. The organization playbook, daily map and gameplan focused on daily practice and discipline that will make your leadership come alive. Humble is internal leadership. Hearts. Hungry is external leadership. Head. Hustle is expression and extension leadership. Hands. You’re very open and honest about how you’ve led, especially Catalyst? Why did you decide to include so much about, frankly, what you feel like you did wrong? I really enjoyed this review of What’s Best Next by Luke Simmons over at Faithful and Fruitful, a blog dedicated to equipping ministry leaders to be more faithful and fruitful.